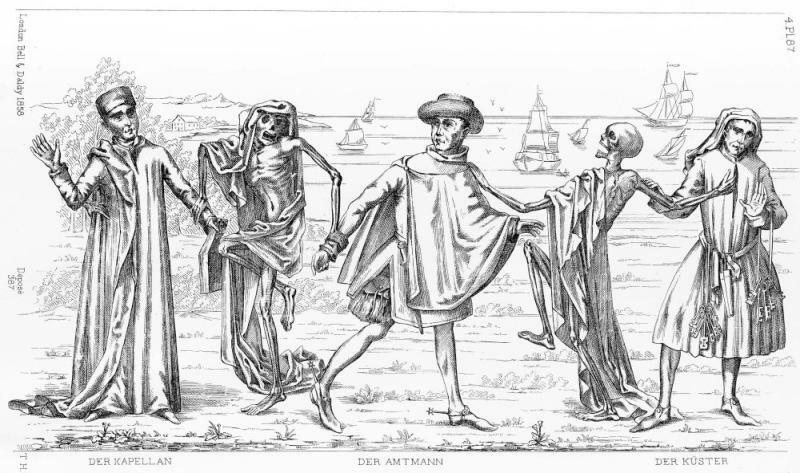 The dance of death in Lübeck drawn by Thomas King. curate and merchant and parish clerk. There's a larger version here: King #8.